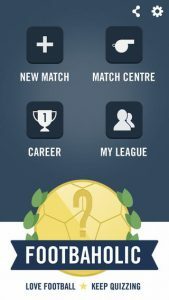 Footbaholic iPhone Game Review: Show Off Your Footie Knowledge! Footbaholic is an iPhone game developed byMobile Games & Quizzes. 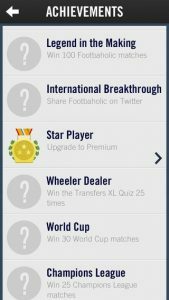 Boasting over 10,000 questions, this trivia app is a great way to prove your mettle when it comes to football knowledge. In Footbaholic, you can challenge friends, family, and random football fans from around the globe to see who has the most comprehensive footie knowledge. You can test your knowledge on various football-related topics, including leagues, teams, players, transfers, and even logos. You and your Footbaholic opponent get the same 10 questions in every match. This ensures that you are being tested on questions that are exactly the same level of difficulty as your opponent. Matches are divided in two halves of 5 questions, and you get just 45 seconds to answer. You can practice your skills in the Practice Mode area, or take on real opponents and unlock one of 13 possible achievements. Whether you prefer to play solo or challenge other players, this quiz app is suited for your needs. The development team is committed to keeping quiz answers up-to-date, and the app is frequently updated with new quizzes to keep Footbaholic feeling current. Of special interest is Footbaholic Weekly, a unique weekly quiz with new questions on the latest games, goals, scores, and football headlines. I loved the interface: it’s very clean and easy to navigate. 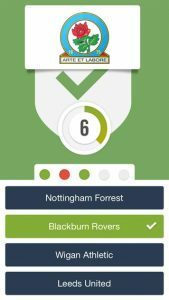 Unlike a lot of other football apps or quiz games, Footbaholic is simple to use and has a great, professional look. 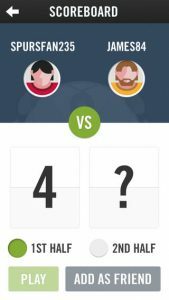 This quiz game is free, fun, fast-paced, and an absolute must for football fans. Definitely give it a go! Want more? Follow the developers on Twitter and Facebook! Footbaholicrequires iOS 6.0 or later. Compatible with iPhone, iPad, and iPod touch. This app is optimized for iPhone 5.